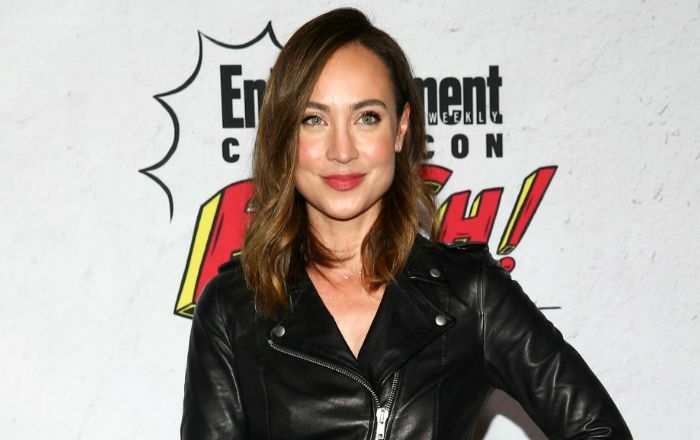 Actress who is best known for her recurring roles as Christine Hill on the Showtime series Dexter, and as Nora Darhk in Legends of Tomorrow. She played a lead role of Jessica Crowder in the Lifetime television film Kept Woman. Courtney Ford was born on 27 June 1978, in Huntington Beach, California, United States. Her ancestry is English, Irish and Mexican. Courtney Ford married actor Brandon Routh on November 24, 2007 at El Capitan Ranch in Santa Barbara. The couple got engaged on August 23, 2006. Together, they have a son named Leo James Routh who was born on August 10, 2012. Courtney Ford landed a small role in the comedy sports film, BASEketball in 1998, where her role wasn’t credited. She had her first credited role as Sterling in the sci-fi horror movie, Alien Raiders in 2008. Courtney made her debut appearance in an episode titled Saving Private Ryan of the UPN Network sitcom, Moesha in 2001. Her appearance in the TV shows Dexter, Legends of Tomorrow, Supernatural, Parenthood, and True Blood. There are no information about her favorites at this time. Her estimated total net worth stands at $4 million. During the early years of her acting career, she struggled a lot to find her a suitable role in the TV series, and at one point of her carer, she thought of giving up her acting passion until before she took audition for a lead role in the TV show ‘Dexter’. She eventually landed a lead role in the series and that formed a turning point in her career. Since then, she has appeared in a number of hit TV shows and also lent her voice for the lead characters in a bunch of TV series. She got acting training from prestigious The Lee Strasberg Theatre and Film Institute. Ford was named in Variety’s “TV’s Top 10 To Watch: New Faces For Fall” list in 2009. She voiced for the character Maria Santiago, the lost wife of the character “Dom” in the game series Gears of War. Courtney Ford starred in the hit HBO series True Blood as Portia Bellefleur, Andy Bellefleur’s sister. She was a recurring cast member in the fourth season.